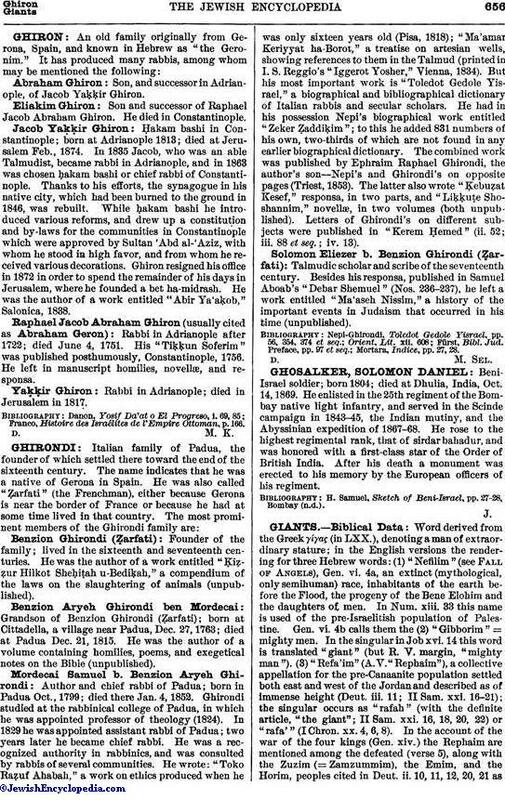 Beni-Israel soldier; born 1804; died at Dhulia, India, Oct. 14, 1869. He enlisted in the 25th regiment of the Bombay native light infantry, and served in the Scinde campaign in 1843-45, the Indian mutiny, and the Abyssinian expedition of 1867-68. He rose to the highest regimental rank, that of sirdar bahadur, and was honored with a first-class star of the Order of British India. After his death a monument was erected to his memory by the European officers of his regiment. H. Samuel, Sketch of Beni-Israel, pp. 27-28, Bombay (n.d.).